We are finally seeing some glorious summery weather here in the UK, so it's the perfect excuse to get out your cocktail shaker and mix up some refreshing beverages right?! 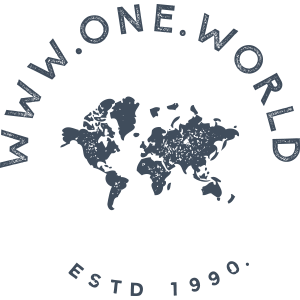 Floral Designer Jay Archer has shared with us two botanical inspired drinks that are ideal for a garden party or to simply sip while you sunbathe! Over to you Jay! British flowers are so versatile that as well as filling the house with scent, they can be used in cooking and even cocktails! To celebrate the 4th annual British Flowers Week, Jay has teamed up with Winchester-based mixologists and food and drink event organisers, Cabinet Rooms, to create some delicious botanical cocktails. The drinks are inspired by flowers and herbs grown close to her workshop and flower school in rural Hampshire. The Alresford Collins uses lavender from Long Barn and Twisted Nose Gin, a craft gin distilled in Winchester for a refreshing summer tipple. 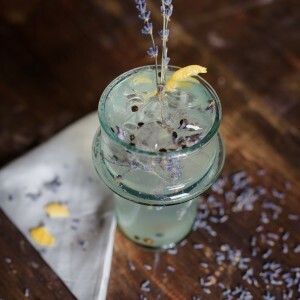 You can make your own lavender syrup simply by boiling a small bunch with water and adding sugar and honey. 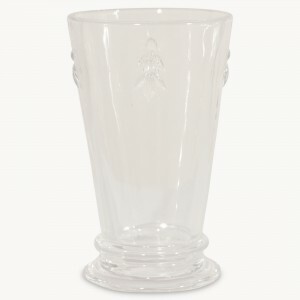 Serve over ice in a lovely glass like the One World Trading Co. Weston pressed tumbler with bee design. We all know how much bees love lavender! The Winchester Rose is made from, yes you guessed it, roses grown in Winchester. 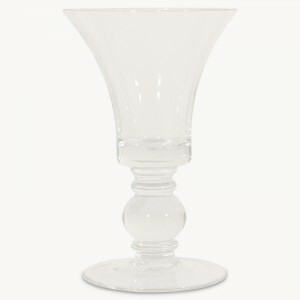 Perfect for a coupe glass or we love One World Trading Co.’s delicate white wine glass. 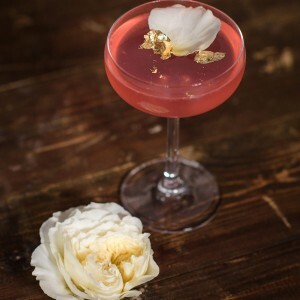 If this has whet your appetite, then why not sample the heady mix of British botanicals and delicious cocktails during British Flowers Week 13th-19th June at Some Enchanted Evening: A Celebration of British Flowers and Midsummer Cocktails. On Wednesday, June 15th (6:30pm-8:30pm) Jay will be turning River Cottage Canteen in Winchester into a midsummer garden. Underneath a canopy of foliage and wild flowers, guests can escape the city, sip botanical cocktails at moss covered tables, and learn more about British flowers (plus other surprises!) at this special tasting event.